DOT Consortium, one of the leading providers for DOT Drug and Alcohol Testing Nationwide has modified its 5-panel DOT Drug Test to now include Hydromorphone, Oxymorphone, Oxycodone in addition to Amphetamines, Cocaine, Marijuana, MDA, PCP, and Opiates in accordance with the new DOT Drug Testing Amended Regulation. Orlando, FL, December 07, 2017 –DOT Consortium Inc., one of the Nation’s leading providers of drug and alcohol testing for U.S. Transportation and Infrastructure Industries, has announced that effective January 1st, 2018, the U.S. Department of Transportation (DOT) will require the screening of Hydromorphone, Oxymorphone, Oxycodone in addition to Amphetamines, Cocaine, Marijuana, MDA, PCP, and Opiates, for all Safety Sensitive positions regulated by CFR 49 Part 40. This change in the DOT drug test reflects the current Opioid Crisis and President Donald Trump’s declaration of a public health emergency as it relates to opioid addiction. Previously, the U.S. Department of Transportation required only a 5-panel drug test for pre-employment, random, post-accident, and reasonable suspicion for DOT covered positions, however, these additional drugs will enhance the 5-panel drug test and will now be commonly referred to in the drug testing industry as a 5-panel plus expanded opioids drug test. This new rule enacted by The Department of Transportation will affect Truck Drivers, Airline Pilots, Passenger Van Operators, Train Engineers, Bus Drivers, Subway Operators, Boat Captains, Merchant Mariners, and other positions designated as Safety Sensitive and regulated by DOT agencies including the Federal Motor Carrier Safety Administration (FMCSA), Federal Aviation Administration (FAA), Federal Railroad Administration (FRA), Federal Transit Administration (FTA), United States Coast Guard (USCG), and Pipelines and Hazardous Materials Safety Administration (PHMSA). DOT Consortium has modified its 5-panel drug test to comply with this new amendment to DOT Part 40 and all DOT Consortium Testing Centers Nationwide including Miami, FL, Orlando, FL, Atlanta, GA, Dallas, TX, Houston, TX, Oklahoma City, OK, San Diego CA, Los Angeles, CA, Charlotte, NC, New York City, NY, and Newark, NJ, are prepared to provide this new DOT Drug Test beginning January 1st 2018. 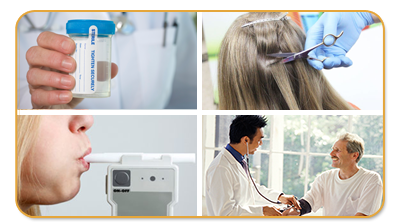 DOT Consortium provides a wide range of DOT Drug and Alcohol Testing Services including DOT Drug Testing, DOT Breath Alcohol Testing, DOT Consortium Enrollment, DOT Required Supervisor Training and DOT Employer Drug and Alcohol Policy Development. With testing centers in all cities throughout the Nation, same day service is available for DOT Drug and DOT Alcohol Testing needs.